Rent a golf cart for your Currituck Club vacation week! 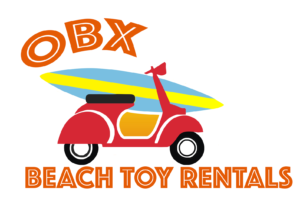 OBX Beach Toy Rentals offers 4-person golf carts and 6-person “limo” golf carts for rent. The both 4- and 6-passenger golf cart rentals are eco-friendly electric and include a power cord to recharge the cart after each use. Convenient and fun, either size is ideal for getting your gear to and from the beach. All of the golf carts include safety features like headlights, taillights, safety belts and mirrors, plus comforts like canopies, cupholders and folding rear seats, which make transporting beach gear easy. 6-passenger golf cart has two forward-facing seats and one rear-facing seat. 4-passenger golf cart has one forward-facing seat and one rear-facing seat. We deliver the golf cart to your rental house in the Currituck Club so it is fully charged and ready when you arrive. Just leave the golf cart plugged in when you leave, and we’ll take care of the rest! Golf carts are very popular on the northern Outer Banks and will sell out during busy weeks of the summer, so make your reservation well in advance. Anyone age 18 or older with a driver’s license is allowed to operate the cart. We also have a great selection of 3G rental bicycles for men, women, and kids that can be delivered with your golf cart rental. Take a look at our wide selection of rental options and add to your reservation. Everything will be there ready for you when you arrive for your Outer Banks vacation! Rent a 4 person golf carts as a very convenient way to get around. Golf carts can be used to get to the beach, store, or just cruise around the Currituck Club. 6 person “limo” golf carts are very convenient to transport more people. These golf carts can carry more people or things as you go to the beach, store, or just cruise around the Currituck Club.